The manufacturer of digital SLRs, compact cameras, point-and-shoots, lenses and accessories, PENTAX has announced the release of its new PENTAX X70 superzoom digital compact camera, which incorporates 24x optical zoom lens and 720p HD movie recording capability. 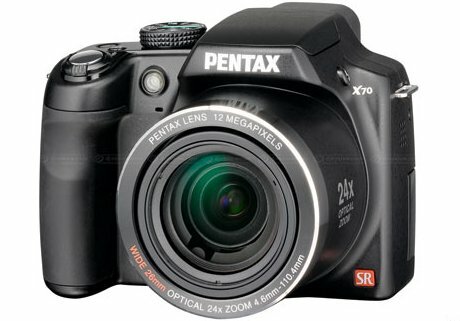 The new compact and lightweight PENTAX X70 megazoom digital camera will be available in coming April for about $400. In addition to PENTAX X70, the company also introduced the smc PENTAX DA 15mm F4 ED AL Limited ultra wide-angle lens for Pentax D-SLR cameras, which slated to hit the market in April 2009 for about $650.